When considering overlooked companions, my mind leapt straight for Elizabeth Shaw. ‘What’s that?’ I hear you cry. ‘Liz Shaw, overlooked? In the best season of consistently good stories and AI? You’re kidding!’ Well okay, overshadowed is a better word; it’s precisely those good things of Season 7 that result in a brilliant companion unintentionally fading into the background. 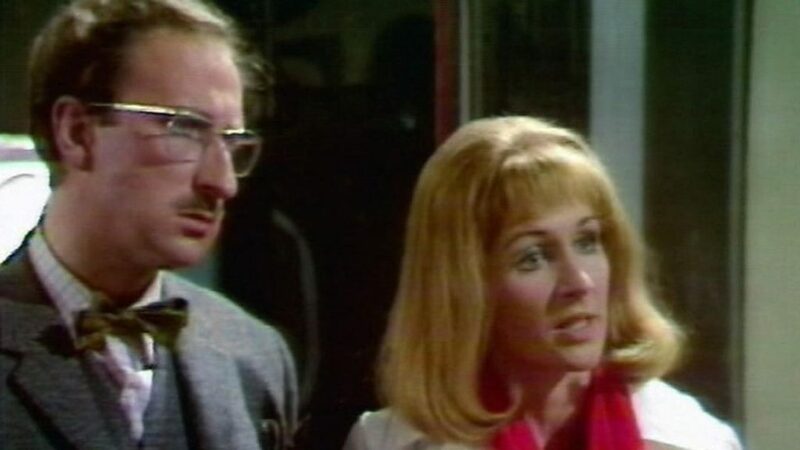 The Barry Letts/ Terrance Dicks era is massively popular, but if you ask people why, Caroline John is rarely on their list, let alone near the top. 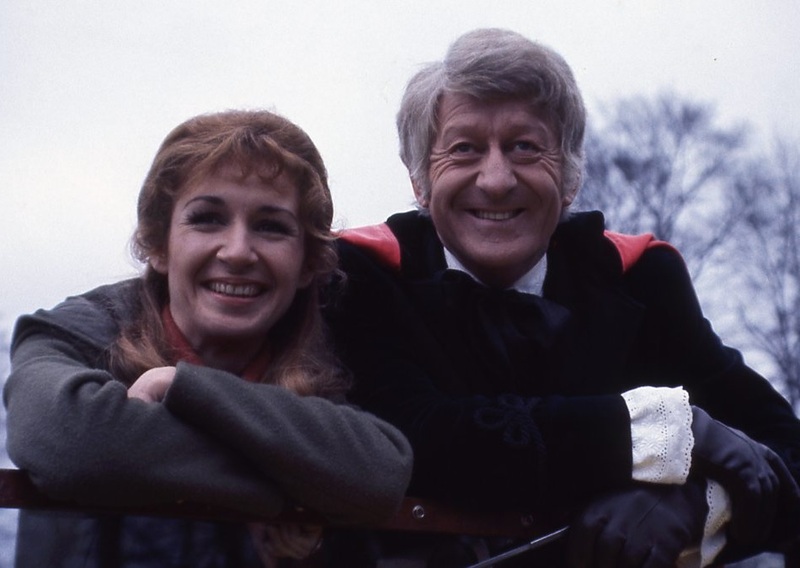 Firstly, she debuts in a regeneration story, the great Jon Pertwee, who hits the ground running. Well, falling; then wheeling, then running. Then driving, then playing with any vehicular toy he can lay hands on. This cerebral woman lands in a boys’ own era of soldiers, explosions, toys, and the boundless enthusiasm of stunt team HAVOC, yet holds her own. 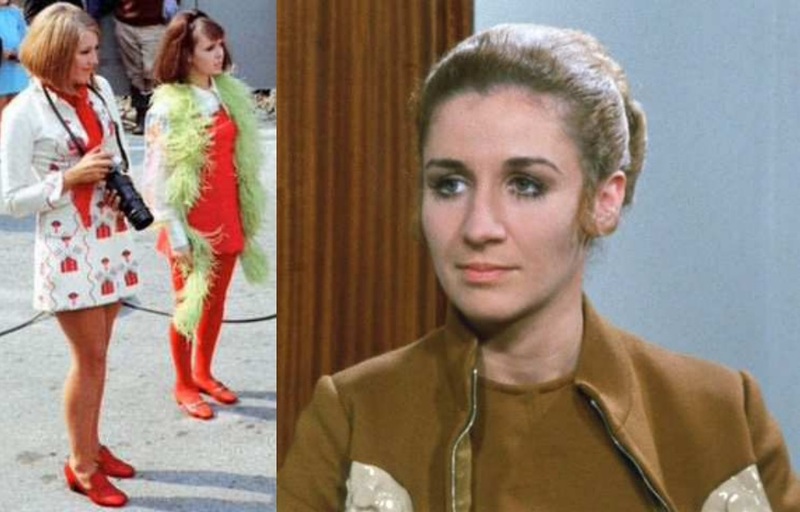 In terms of production rather than content, her debut is overshadowed by the fact that it was the first Doctor Who in COLOUR! Okay, most viewers couldn’t afford it, but even the cameramen had extra training for it, and not just for the special effects technique, Colour Separation Overlay (CSO). So how come, following those bright little numbers from Isobel and Zoe in The Invasion, they put the first colour companion in … brown? Yes, I know it was the ’70s, but brown and cream? Why not go for the full navy twinset and pearls? They were trying to get away from the ’60s dollybird look of Polly and the Invasion girlfriends, but quickly realised their mistake, gave Liz a softer hairstyle, a coral-red dress, a purple miniskirt. Even in trendier costume, as the audience identification figure, she’s too brainy, even aloof. She’s contrasted with the established, already popular, and hereafter beloved figure of the Brigadier, who has the authority to say whether this is or is not Doctor Who. Sergeant Benton’s ever-growing role in the show took off in Season 7, and he was often given the comedy or ‘ask dumb questions’ role. There are times she explains to them, with as little patience as the Doctor. You can’t imagine her flirting with Benton or Mike Yates! She refuses to take orders from the Brigadier, stating ‘I won’t be spoken to like that!’ Maybe she was too intimidating and acerbic for certain fans, but she does show a feminine side, taking care of the Brig after his ordeal in the caves in Doctor Who and the Silurians. When attempting to inoculate against the Silurians’ plague she insists that the Doctor must be injected too, telling him in no uncertain tones to roll up his sleeve! 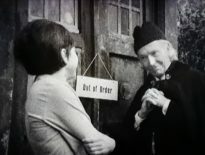 The Doctor doesn’t often tell Liz what to do, but treats her with respect as a fellow scientist – ‘would you like to stay and do some forensic tests?’ he asks in the barn where the Silurian’s victim was found. 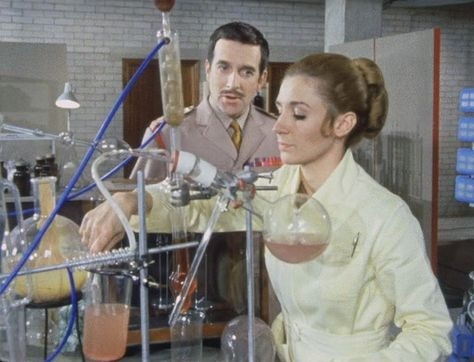 When Cornish asks him to stay and help (at the end of Ambassadors of Death), he recommends Liz instead, saying ‘she’s much more practical than I am.’ That’s because Liz is a Proper Scientist with ‘degrees in medicine, physics, and a dozen other subjects’ (Brig in Spearhead from Space). She asks intelligent questions, not just ‘Doctor what is it?’ but ‘Why all these aliens now [but] not the last 5,000 years? 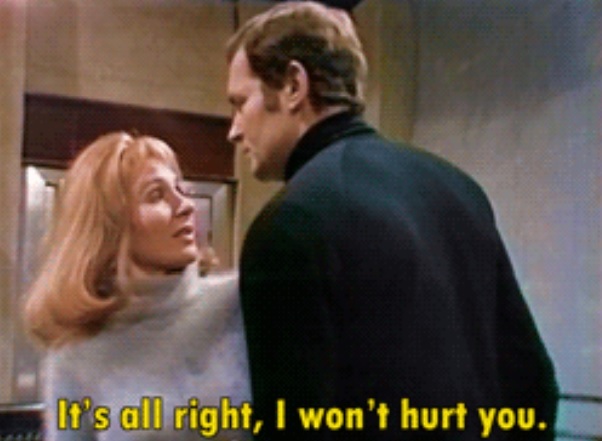 (in her opening scene with the Brig). In Silurians, she asks the Doctor what he’s seen under the microscope; he doesn’t tell her, but hands it to her to look and SHE gets the ‘explain it to the audience’ dialogue. 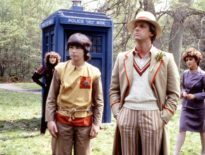 When Clara Oswald got to be too much like the Doctor, Steven Moffat made it into a character arc; when Liz did, they unceremoniously replaced her! She’s always coming up with ideas from her scientific knowledge, proactive in investigating the caves, making intelligent connections and deductions. 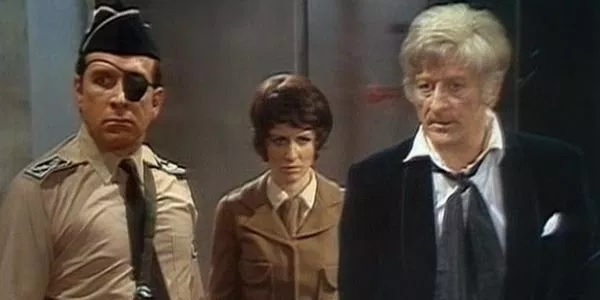 ‘I happen to BE a doctor, Brigadier, remember?’ she exclaims in Inferno, as they wait for the Doctor to recover. She spots the inconsistency between Quinn’s explanation and the map – a woman who can read maps… So while we’re on powerful women, she follows Anne Travers and Lady Jennifer, and precedes the overt feminism of Sarah Jane, but without constantly referring to it with ham-fisted dialogue. 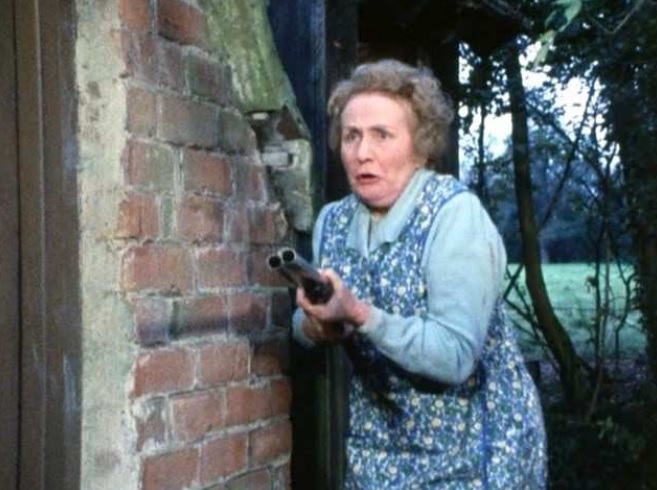 Though even in girl-power terms, she’s upstaged by the redoubtable, pinny-wearing, gun-toting ‘Get back or I’ll blow a ‘ole in yer’ Mrs Meg Seeley. 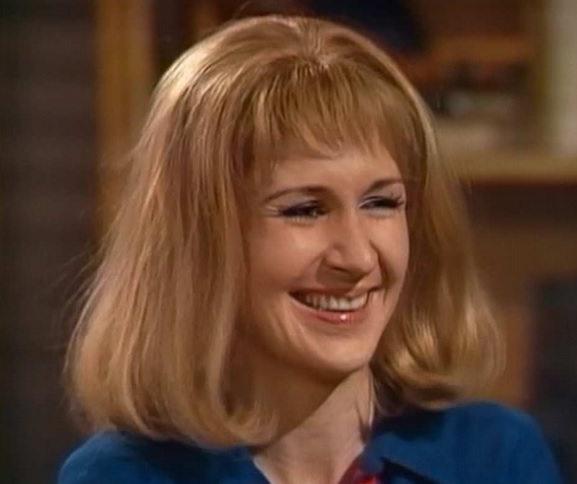 That celebrated cameo reminds us how in Season 7, Liz is overshadowed by some seriously valued Who guest stars, alumni such as Peter Miles, Geoffrey Palmer, Michael Wisher, Cyril Shaps, Christopher Benjamin, and an impossibly youthful Paul Darrow with his clipped enunciation and even sharper cheekbones. With guests like this, Johns’ acting ability gets overlooked – she acts sensitively with rare understatement in a ‘heightened’ genre. 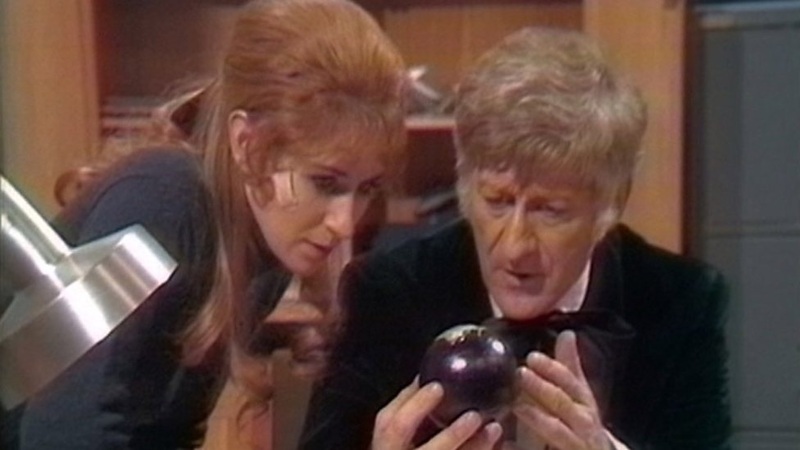 She moves instinctively with Pertwee (at times in step like Sarah Jane and Tom in Pyramids of Mars), she conveys a lot with body language, expression and minimal movements. In Silurians, her exasperation with Lawrence is shown more than told, but she still keeps calm under such duress. In Inferno, with the planet screaming out its rage, Liz is definitely upstaged by the HAVOC’s stuntfest; Roy Scamell’s record-breaking fall, Alan Chunz’ failure to dodge Bessie, and high jinks in high places. 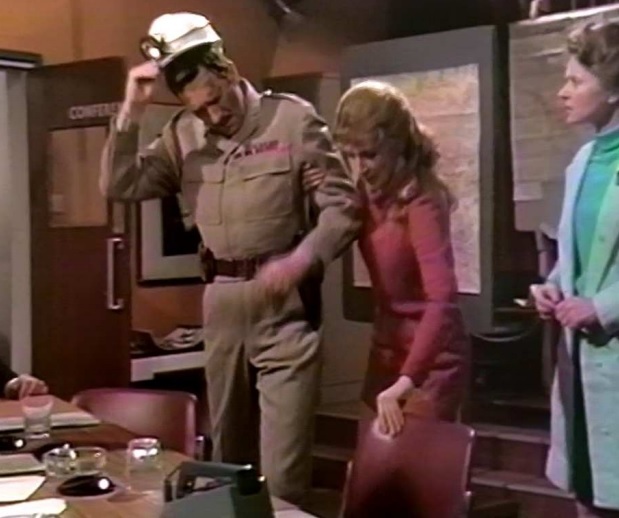 But in the midst of drilling tension, the Brig follows her when she tells him to (suspecting the Doctor has tried his TARDIS run again), Liz is the one to convince Greg and Stahlmann to reverse the polari- I mean flow, and Alternative Liz stands up to the Brigade Leader as he crumbles and panics: true colours will out under pressure. It’s sad that, with the Doctor grounded, Liz never got to travel in the TARDIS. With the producer and script editor team wanting a very different kind of companion she had only one season on screen. And with her untimely death, even Big Finish had such a short time to develop her character. But as daughter of two rocket scientists I’ll always be glad she was there. Goodbye and thank you, lovely Liz Shaw.